Notifications can be an integral part of securing cloud based payment transactions. Most mobile OS platforms support notification resources that can be leveraged by the platform developers for different reasons. In the case of cloud based payments, notifications can be used to help secure and enforce authentic transactions at the POS. The only relevant mobile OS platform at the time of this publication that supports payments that are accepted by existing mainstream acquirers is the AOSP or Android. 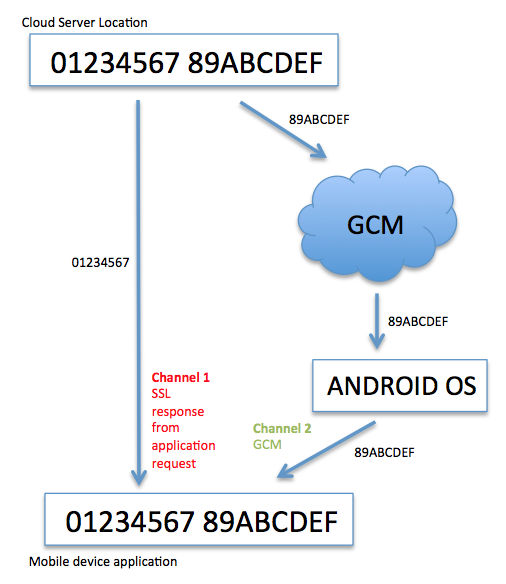 HCE (Host Card Emulation) was released inside Android 4.4 last October, so this blog post will focus on using Google Cloud Messaging or GCM. 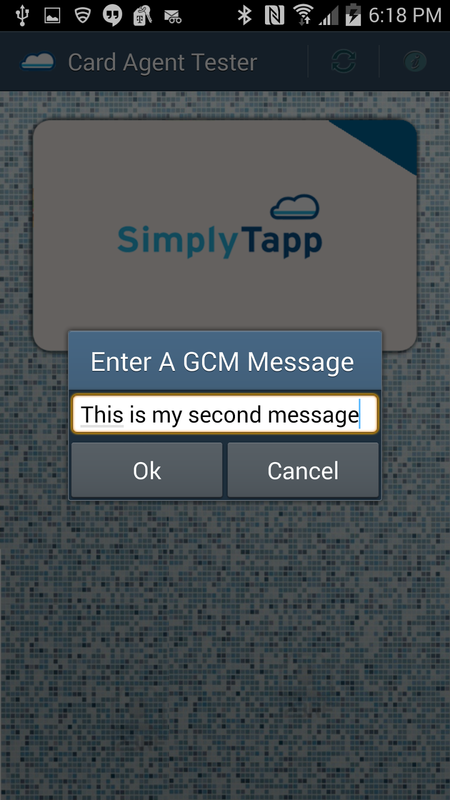 As you can see above the GCM and mobile device form an independent channel from the application itself. This is done because Android OS manages registration of any particular application and therefore managing the communication with that registration which includes OS and device level security precautions. 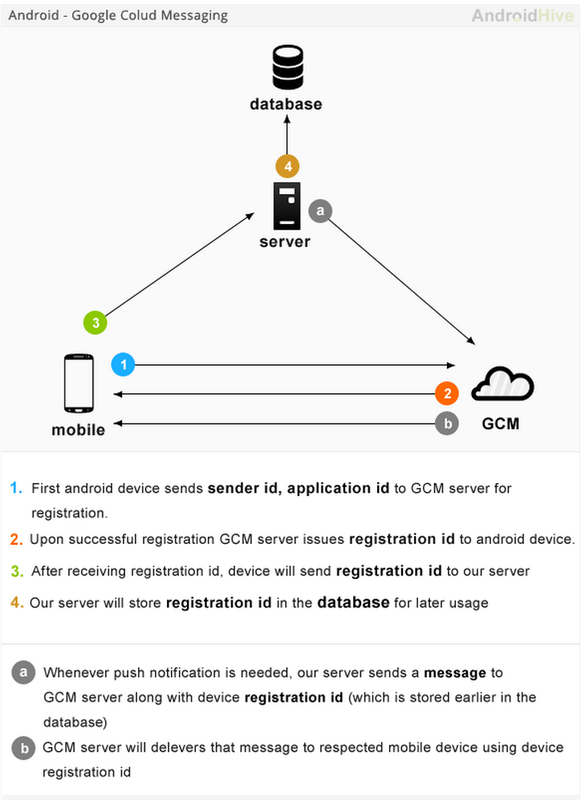 For a third party system to send a notification using GCM, the system follows step (a) above and that notification message is expected to be delivered using GCM channels, that is it. The example below provides a hands-on approach to accomplishing these tasks on the SimplyTapp platform. The platform has Notification messaging built into it so that you do not have to concern yourself with the technical details of delivering messages over the network. The interface abstracts the complexity and simply offers a "send to agent" api taking a single message as a string from the card applet service api framework. This message has a known destination of the matching card agent for the card applet service. The SimplyTapp platform handles all the routing and delivery to the proper place. An IOException() may be thrown in the event that the card agent has not yet been loaded by the mobile application. 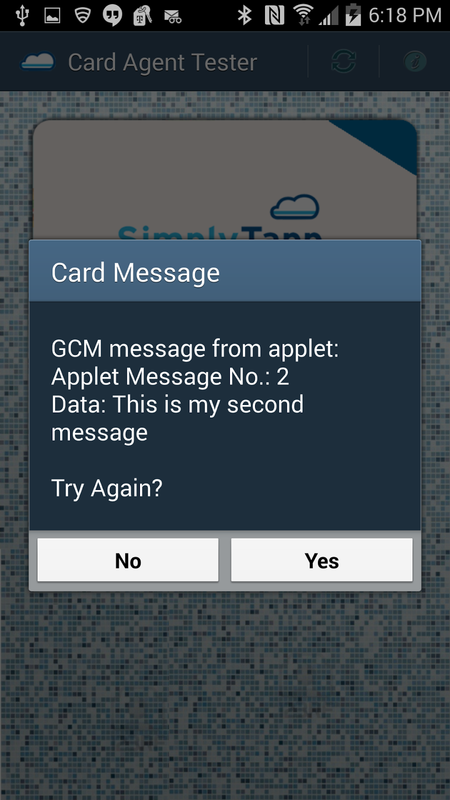 when the card agent receives a message from the GCM server, this method posts the message to the mobile application. * running in order for the cardAgent to connect to it. Also, make sure your mobile device has WIFI on and is connected to your internal network so that it can reach the simulator config as defined above. this installs the new applet as AID 0001020304 which is the proper AID for this demo. after installation you will see that we exit-shell which will leave the simulator running and ready to connect up to the card on the port 3000 as shown above in this configuration. after the simulator is running the card applet service, you can then run the card applet tester app on your device. This test can be repeated as long as you like and it's only purpose is to demonstrate how to use GCM to transport information from the remote card applet service to its card agent.